Because babies love to play with paper! 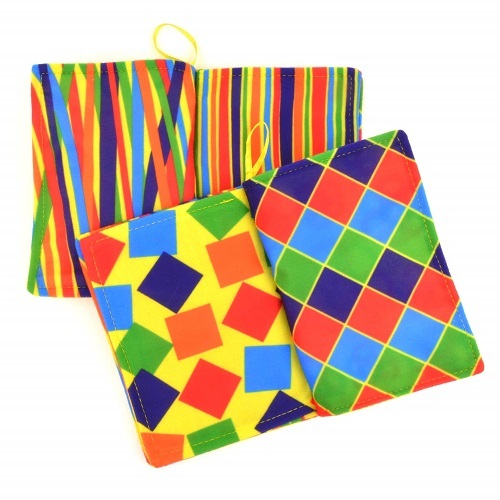 The Baby Paper Book is a unique toy, that in it’s simplicity has become a hit with babies and parents! The small book size is great for tiny fingers to grasp. Baby Paper is made of a soft material that has a paper sound when touched. 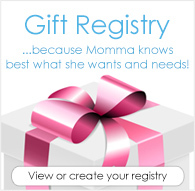 It is machine washable and each page has a stimulating variety of prints that baby will love. 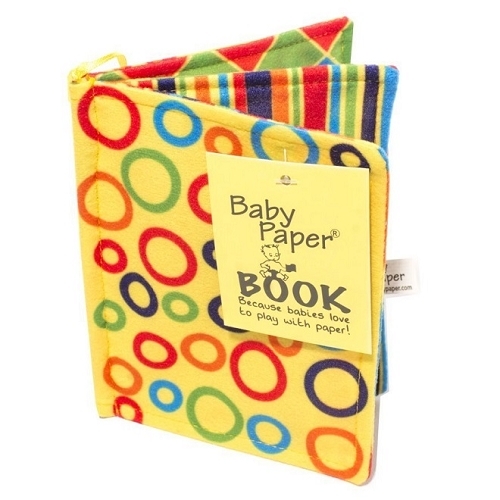 Baby Paper Book is a must have for on-the-go babies. From the makers of Baby Paper, this larger size "paper" ideal for bigger kids and for those with special needs.